Forked Up Art - Kitchen and Tabletop - The Fork Utensil Holder. All items are made from forks and spoons into the most fun and clever creations. Artist Judson Jennings is devoted to making people smile with fun conversation pieces that will surely be remembered. 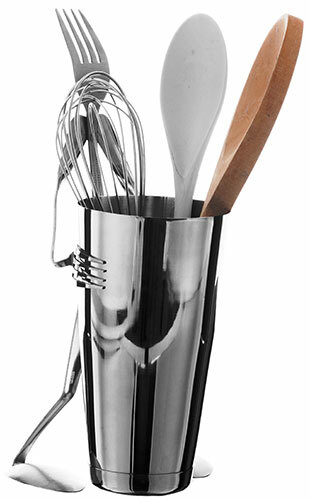 This Fork Utensil Holder will be very useful in the kitchen. The Utensil Holders will be well packaged for posting. This product was added to our catalog on Tuesday 19 August 2014.